Experienced Heating & AC Repair Contractor. Call for Service, Repair or Installation. 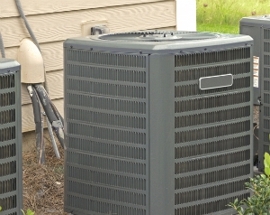 Your home heating and the air conditioning system run for about 3,300 hours per year. It is, therefore, important to have your home comfort systems to have a regular check-up. As fully-qualified and certified HVAC technicians, we provide to homeowners the high-quality service they are looking for. Let us be your AC and heating contractor. We serve Biloxi, Mississippi and surrounding area. At Ball Heating & Air, your home heating and AC system needs routine tune-ups to operate in an efficient, safe, and reliable manner. Our unique precision tune-up includes everything that can possibly be done in order to restore your heating and air conditioning system to its very best condition. Call us today at (228) 207-5345 for an estimate. Copyright © 2018 callballthatsall.net All rights reserved.